Stratasys FDM thermoplastic materials enable us to create large, durable 3D printed models and parts for a wide range of Rapid Prototyping applications. Parts produced using FDM technology are made with real production-grade thermoplastics – the same raw material used in the gold standard of manufacturing – injection molding. ABS is widely used in applications where impact-resistance and structural strength are necessary. It is accurate, durable and robust enough for field testing or demonstration units. 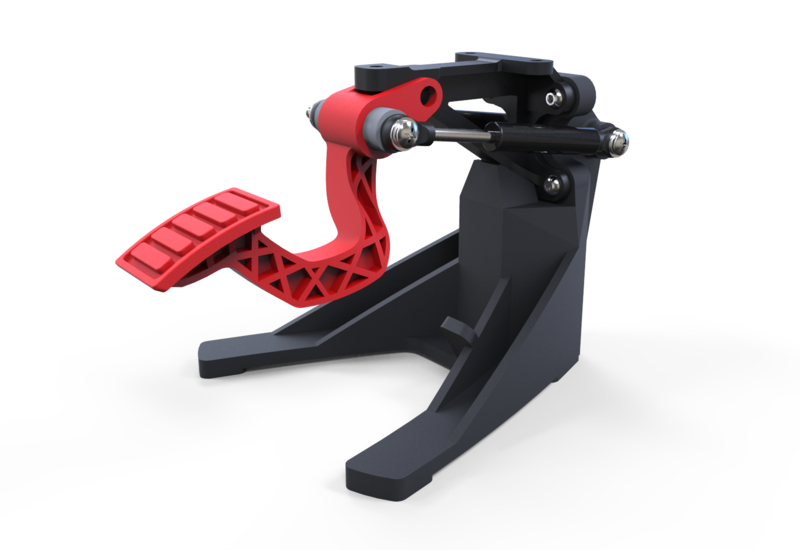 Because of its excellent dimensional stability, it is ideal for pre-production rapid prototypes that can accurately predict performance of injection molded parts. Available in Blue, Yellow, Red, Steel Gray, Green, Black, White and Gray. Learn more about ABSplus. ABS-M30 has greater tensile, impact and flexural strength than standard ABS. Layer bonding is significantly stronger than that of standard ABS, for a more durable part. ABS-M30 is ideal for any of the following applications: form, fit , function, concept modeling, feature detail, snap-fits, vacuum metallization, electroplating, and as a master for RTV molding, vacuum forming and rapid manufacturing of end-use products. Available in White, Black, Dark Gray, Blue, and Red. Learn more about ABS-M30. ASA combines mechanical strength and UV stability with the best part aesthetics FDM technology has to offer. Build enduring prototypes to test fit, form and function – or produce practical end-use parts for outdoor use. From electrical housings and brackets to automotive prototypes, ASA will give your designs a place in the sun. Available in Ivory. Learn more about ASA. Available in Black. Learn more about Nylon 12. 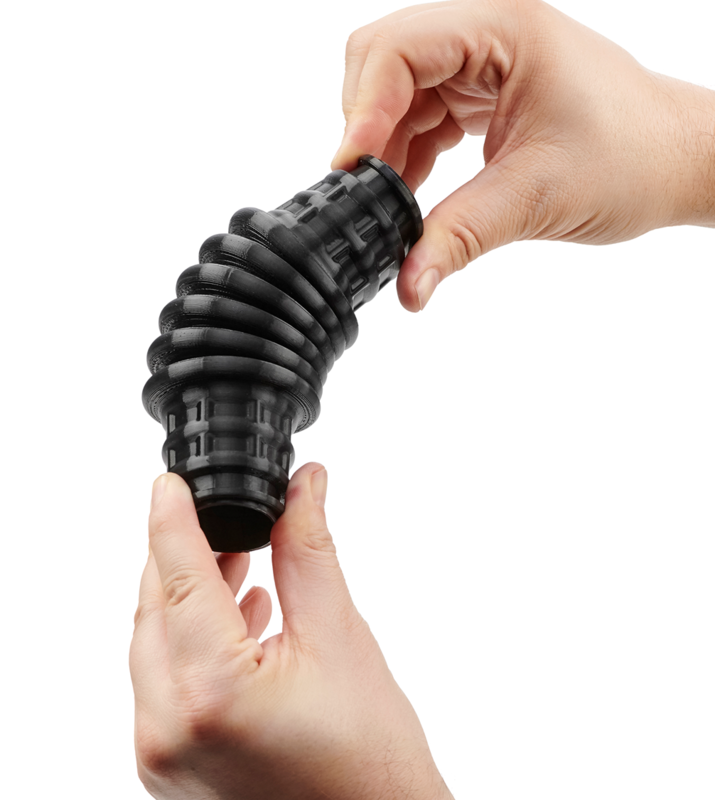 Nylon 12CF is Stratasys’ strongest FDM material to date. This amazing material’s unique strength-to-weight ratio allows for it to replace metal parts in multiple industries. If you’re looking for a top notch material to give your product a lighter weight while producing ultimate strength, then Nylon 12CF is just for you. Available in Black. Learn more about Nylon 12CF. PC (polycarbonate) is widely used in automotive, aerospace, medical and many other applications. 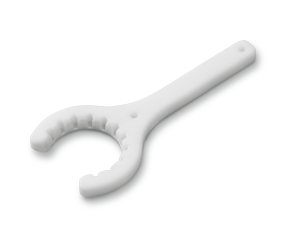 PC offers accuracy, durability and stability, creating strong parts that withstand functional testing. PC has a higher impact strength and can handle higher temperatures than ABS. Available in White. Learn more about Polycarbonate. The superior durability of this blend combines the strength of PC with the flexibility of ABS. PC/ABS offers the most desirable properties of both materials – the superior mechanical properties and heat resistance of PC and the excellent feature of ABS. PC/ABS blends are commonly used in automotive, electronics and telecommunications applications. PC/ABS is an affordable option where strength and rigidity are necessary in conjunction with toughness and temperature tolerance. Available in Black. Learn more about PC-ABS. With a reputation for reliability, this famously overachieving thermoplastic has well-rounded thermal, mechanical and chemical properties that make it superior in most categories. 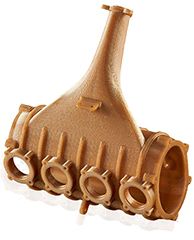 ULTEM 9085 is a Fused Deposition Modeling (FDM) thermoplastic ideal for aerospace, automotive and military applications because of its FST rating, high strength-to-weight ratio and existing certifications. 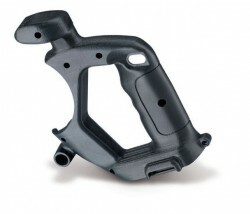 It empowers design and manufacturing engineers to 3D print advanced functional prototypes and end-use parts. Available in Tan and Black. Learn more about ULTEM 9085. ULTEM 1010 resin offers the highest heat resistance, chemical resistance and tensile strength of any FDM thermoplastic. Learn more about ULTEM 1010. With the ease and reliability of professional FDM technology, create elastomer parts quickly and efficiently. The durable elasticity of strong TPU 92A is perfect for a wide variety of applications including flexible hoses, tubes, air ducts, and vibration dampeners. Learn more about TPU 92A.